Two weeks ago, my 13yo daughter and I attended our first International Trade show in Florence, Italy. In 11 years in business, I have never felt the need to travel as so many brands are here in the US and come to the trade shows in NYC. I saw this trip as a great opportunity to explore some new territory and some new brands and to spend a few days with my Torly girl before she goes off to high school. 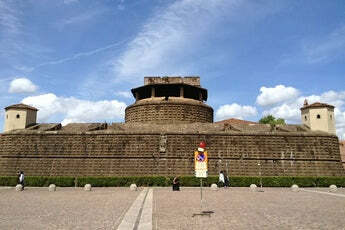 The show was set at the Fortezza Da Basso which is an impressive fortress built by San Gallo in the early 16th century for the famous Florentine Medici family. It is encased in 14th century city walls and is a massive construction of turrets, bastion and military barracks. Here are a few trends we noticed along the way. Pom Poms! This is a trend I see in the US as well but mostly on accessories like headbands and key chains and hats. In Italy, I was seeing it on clothing on the runways as well. Plaid and houndstooth – always comes and goes in colder months but I saw it all over the European runways for fall 16. With lots of solid layering pieces. Animal ears – showing up on hoods, on shirts, on sweatshirts, on hats, on purses. Its a great way of combining a playful look with a sophisticated piece. Even my teenager wanted a hoodie with ears on it! Space theme – the release of Star Wars has certainly bled through to the fall line of 2016 all over the world. 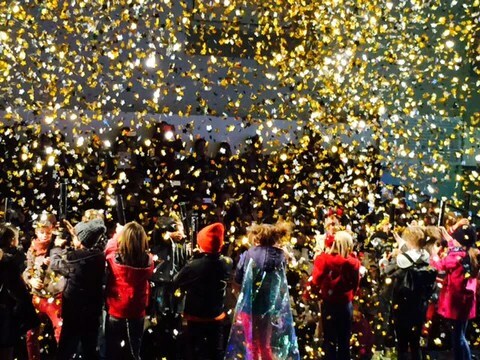 The spanish brands at the show got together and did an entire runway show with a space theme. It is sure to shine through this fall. Be sure to check some of them out in the shop come this fall! 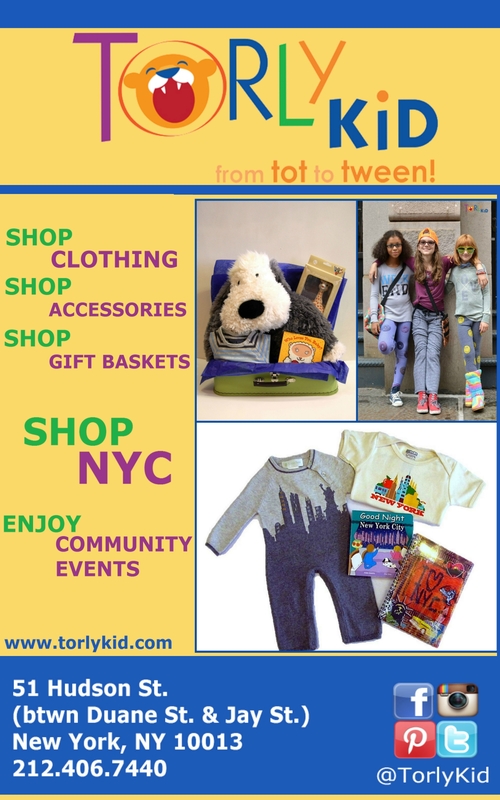 Next NYC with tweens or teens? Torly Travels has 5 recommendations for you!